Do Pre-made Stores or Pre-made Online Merchant Websites Have Any Value? Many people think of affiliates as an added sales channel and affiliate ads as offering a branding bonus (how many text link ads affiliate banner ads have you seen?) but there are numerous benefits to running an affiliate program that many people never consider. You do not have to let people know that you have an affiliate program unless it makes sense to. You can chose what partners to allow when special occasions come up, without risking watering down your brand equity and perceived value by chasing large distribution deals. What ad formats work best? What types of affiliate conversion work best? Are there holes in your marketing? Some affiliate software allows you to track affiliate lead sources and conversions so you can not only improve your own copy, but also improve your sales funnel and recommendations to affiliates based on real world data from top performers. Many affiliates will also uncover markets you never thought of. If you are doing high risk ad buys it might make sense to sign up as your own affiliate and make it look like it was one of your affiliates who bought that keyword or ad. 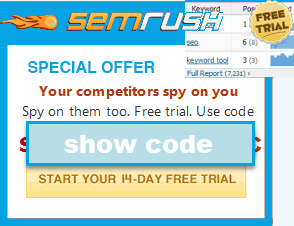 KeyCompete and SpyFU make it easy to get an overview of competitive keyword buys. You can use different affiliate accounts for different ad campaigns to make easy for you to see your results while making it harder for anyone to use services like KeyCompete or SpyFU to track your advertisements, especially if you combine unique domains or subdomains from popular sites with php jump scripts for your ads. Know exactly where various ad networks are displaying your ads. Trach which ones convert and buy directly from the best sources, while filtering out low value sites or networks.